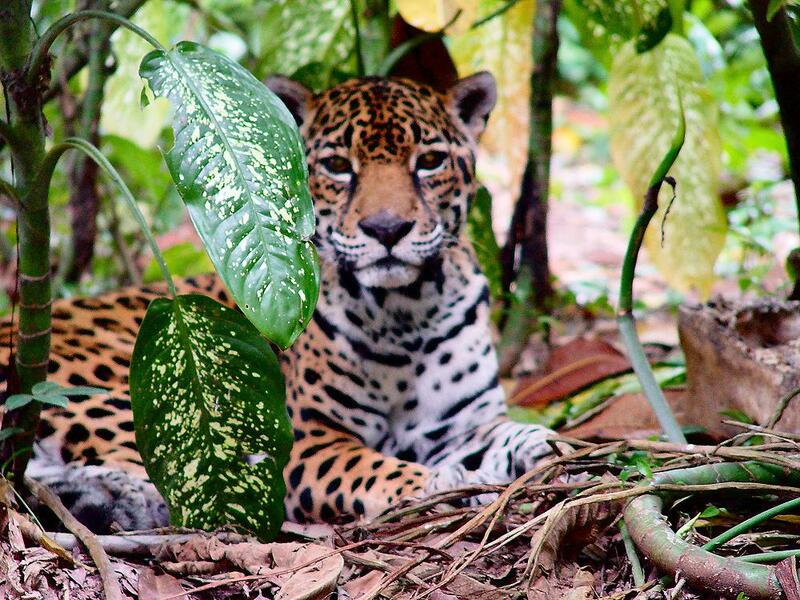 Tika, our beautiful Panthera Onca - that's Jaguar in ordinary people talk - has been with us at Banana Bank Horseback Adventure in Cayo since she was a baby. She was found in the Maya Mountains and brought to Banana Bank in 1982. That would make her 24 now and she weighs in around 200 lbs. She may be old for a jaguar, but she's still healthy and quite playful. She's posed for many a magazine and even been in a feature film as well as a cameo in the crazy series WildBoyz. 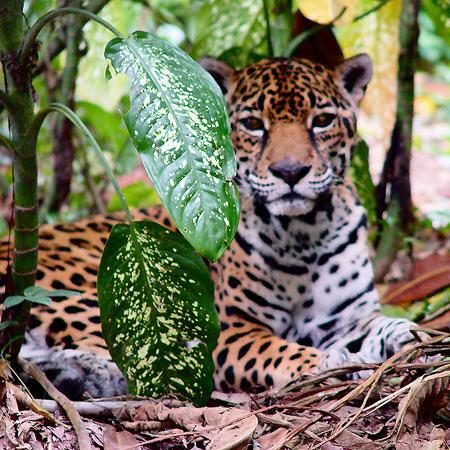 After the lion and tiger, the jaguar is the largest cat in the world and that would make them the biggest cat in America!